AIBS, the peak body for building surveyors responds to a report commissioned by the Building Ministers Forum. Many readers will have seen the findings and recommendations of a report on compliance released early in 2018. Professor Peter Shergold and Bronwyn Weir submitted their report to the Building Ministers Forum (BMF), under the title Building Confidence – Improving the effectiveness of compliance and enforcement systems for the building and construction industry across Australia. The board of the Australian Institute of Building Surveyors (AIBS) has examined the report in detail and has prepared a formal response. In developing the response, the board met Bronwyn Weir to discuss the recommendations and obtain more information. We also sought views from AIBS members in all jurisdictions. AIBS was also pleased to note from the report that there was close alignment with the Building Regulatory Reform Policy that AIBS published in September last year and recently updated. A brief summary of the response follows. Overall, AIBS welcomes the report and supports most of its recommendations. The report presents a long overdue national guide to much-needed reform of Australia’s building regulatory system and is a forthright assessment of the state of compliance. This is an important step towards reforming the building regulatory system, but it is simply the first step. Modernisation of the system is crucial if the public is to retain confidence that the built environment in which they live, work and play is safe and compliant with Standards that all Australians are entitled to expect. Indeed, AIBS has been advocating for reform of the building regulations for some time, with a focus on consistency across all jurisdictions. It is noteworthy that the BMF, in commissioning the report, has taken a national approach to examining the building regulation system, whereas previous approaches focused on individual jurisdictions. The BMF is to be applauded and supported for taking this approach. AIBS notes that the report contains criticism of the building surveying profession. On that point, it must be recognised that the terms of reference included a request to examine perceptions of conflict of interest in the private building surveying profession. AIBS does not accept that all of the criticism of building surveying is valid. Nevertheless, its response is not to dwell on that but to continue the moves under way long before the report was commissioned to increase the professionalism and standing of building surveying. This includes the development of a professional standards scheme for building surveying that we believe will deal with most of the criticisms raised. On a positive note, the report recognises that the profession should play a crucial role in the viability of compliance in the building industry. Building surveyors may not be pleased with some of the findings and recommendations. However, AIBS believes implementation of most of the recommendations will strengthen their role in the industry in the longer term. This will also enhance the reputation of the profession in the industry and with the general public. The formal AIBS response notes that the report uses the term ‘private building surveyor’. AIBS believes this incorrectly delineates between private and public building surveyors – who undertake the same statutory assessment and inspectorial functions. Many of the suggested improvements would equally apply to any building surveyor carrying out such functions. AIBS therefore has recommended that the term ‘statutory building surveyor’ be adopted by the BMF and all jurisdictions. This more correctly emphasises the statutory nature of the role and recognises that the same or similar pressures exist for all building surveyors. The performance of private participation in the regulatory system is not serving the community adequately. Most of the recommendations relate to commercial buildings rather than residential. There has been a lack of performance by regulators. The role of the building surveyor is crucial to the system. There is a requirement for ‘whole of industry’ and government solutions for the issues raised. The universal use of the term ‘building surveyor’ should be adopted across all jurisdictions. 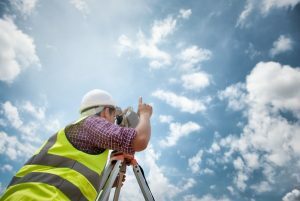 The role of building surveyors as co-regulators could be more widely recognised in the community, some parts of industry and in some government agencies. Nationally consistent qualifications and accreditation are needed. Private engagement of statutory building surveyors should be robust, reflecting the co-regulatory role that such professionals perform on behalf of the community. For more information, please read the full AIBS response on the website.